Summer is finally here, and one week in July will be pent in sunny Espana!! Our choice of hotel in Sitges in 2011 is Hotel Port Sitges Resort. This is a hotel literally on the coast, by a marina north of the city centre. 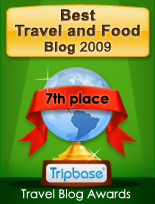 Enjoy Food & Travel will report back to our readers whether the choice was wise or unwise. The hotel is, according to tripadvisor, given an average ranking (number 20 of 38 hotels) in Sitges. 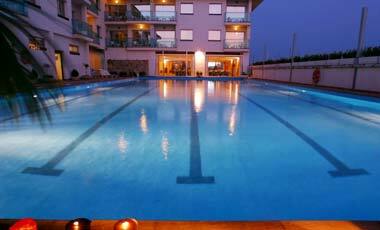 39 out of 47 has described Hotel Port Sitges Resort as either average, good or excellent. Only 8 found it to be poor. "The facilities are ideal for combining business and pleasure. The Port Sitges hotel offers 48 spacious and comfortable rooms, ALL WITH TERRACE AND SEA VIEW TO THE BEACH, with lounge and separate bedroom, full bathroom, heating and air conditioning, kitchenette, satellite TV, telephone and safe. Wi-Fi throughout the building. 25m swimming pool, Jacuzzi, Sauna and Solarium. Cafeteria and Restaurant. Large terrace overlooking the harbor." I love the passage with capital letters, as a terrace facing the sea is a great asset during a stay in the sun. The area around Hotel Port Sitges Resort is more residential compared to where we have stayed earlier. As Sitges is a small resort, the location is an advantage rather than a drawback. Our experience with the Santa Maria Hotel is that rooms facing the street and beach are very noise due to drunk people, late diners and cars. Will we be among the dissatisfied or among those who love the Hotel Port Sitges Resort? Enjoy Food & Travel will stay there one week and give our verdict. 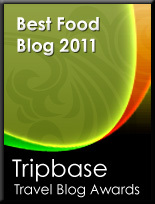 So stay tuned for another hotel review on Enjoy Food & Travel.